Emerging from the Jungle and Rave scene in 1990s England, Drum & Bass combines fast breakbeats, samples, synthesizers and a heavy, heavy bass line to provide you with a sound that’s been harassing your ears for the past 25+ years. With acts such as Pendulum and Chase & Status still leading the line in contemporary Drum & Bass, as well as the influence the genre has had on Grime and Dubstep, there couldn’t be a better time to be re-evaluating your samples than right now. 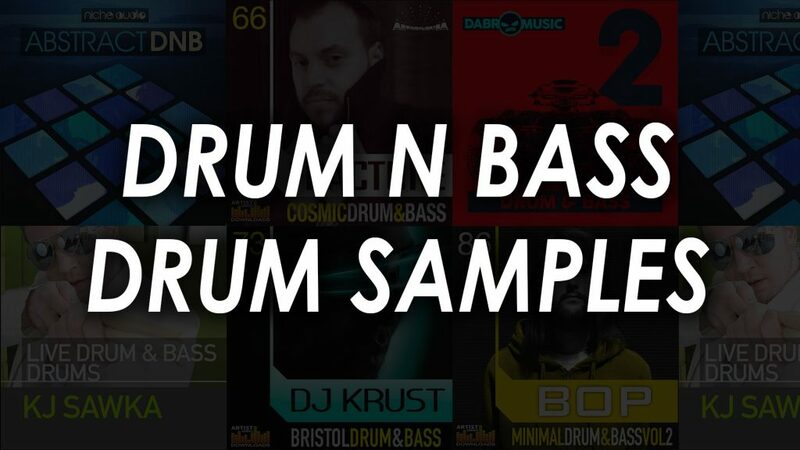 This following article explores the best drum and bass samples available on the market now. Expect contrasts of light and dark, ferocious drum loops, speaker shattering bass hits and atmospheric synth pads. To put it frankly, everything you could need to start, reignite and/or upgrade your productions. Below is a short list of the drum and bass samples we talk about in this article. Scroll down for more details or click for audio demos. 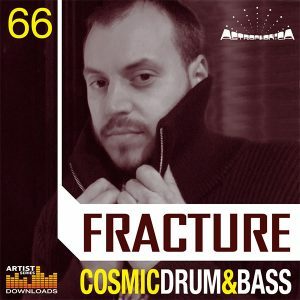 Let us go on an adventure into the underworld of Drum & Bass with one of the true greats of the genre, Fracture. Cosmic Drum & Bass is a collection of 425 samples perfect for anybody producing DnB, Dubstep, Breakbeat and Alternate Electronic styles. This pack covers a wide range of moods. From twisted, to dark and menacing, to glitched, to experimental, to dreamy, to half-time, there’s a sample in this collection to help transform your latest track. This dnb sample pack from Fracture is the perfect fusion of classic Drum & Bass grit, with contemporary crystal-clear high-end. All the vibe of yesteryear, with all the quality of today. Quintessential ingredients for achieving the Fractal/Neptune sound. The collection is worth the investment for the craft alone. Fracture has used the same production methods he uses in his work to create these drum n bass samples. For example, the bass has been split into sub and mid-range. This is a standard technique for that MASSIVE bass sound. With Fracture’s crafted bass loops, you as a producer have complete control over how the bassline sits in the track. 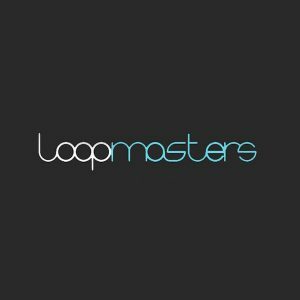 As well as having a vast collection of loops to play with, each composite part is available for further manipulation and control over your tracks. This is the complete package for anybody chasing a professional Drum & Bass sound. 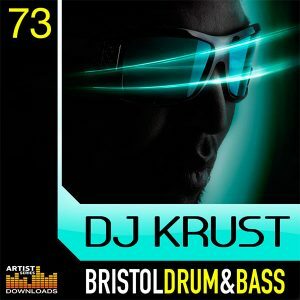 If you’re searching for that retro DnB sound, look no further than DJ Krust’s Bristol Drum & Bass. This pack is a collection of sounds taken from the studio of DJ Krust, providing access to some of the most iconic Drum & Bass sounds available. DJ Krust is praised in the DnB underground for his envelope-pushing productions. His explosion into the mainstream in 1997 lead to DJ Krust signing to a major record label, and the Bristol Drum & Bass sound spread its wings further. These drum and bass drum samples will help you to inject that trademark sound into your next track. This collection contains 390 samples, including 148 loops and 242 one-shot samples. The loops are perfect for kick starting your inspiration with that recognizable Bristol swing and shuffle. The one-shots contain all the classics – and worth the price of admission for the super sub itself. Add instant impact with a simple drag and drop! This is an ideal package for anybody working with DnB, Dubstep, and Grime. Add a legendary sound to your track with Bristol Drum & Bass. 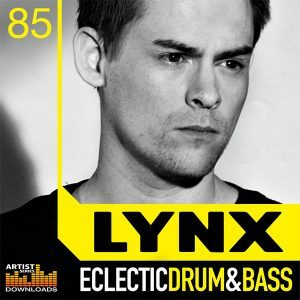 Eclectic Drum & Bass by Lynx is a collection of samples, loops, and one-shots from one of the genres most celebrated producers. Lynx is known for his high quality and innovative productions, and Eclectic this kit is no different. From deep, oscillating sub basses, to inspirational music loops, percussive grooves and a range of FX for transition and impact, this pack has all the necessary components to help upgrade your sound. This drum and bass pack contains 157 loops; recorded between 170 – 180bpm for DnB authenticity, and 247 one-shots. The loops are classic Lynx. The bass loops range from DnB standards to the weird and wonderful, making this collection stand out due to the genre-spanning versatility. The quality of the recorded loops also allows precise editing to switch grooves round and create your own Lynx influenced beat. The stand out feature of this sample pack is the 92 soft sampler patches included. Whether you work in NNXT, Halion, EXS24, SFZ or Kontakt, there are patches ready to load up and sequence in your software sampler of choice. Combine the high-quality one-shots with the flexibility of your software sampler, and soon you’ll be sequencing Drum & Bass tracks capable of competing with the best. KJ Sawka is a producer, DJ, and drummer, known for his work with Pendulum and Destroid. An incredible drummer often praised for his ability to play the most complicated Jungle, Drum & Bass and Breakbeats without loops or samples, just his hands, and feet. 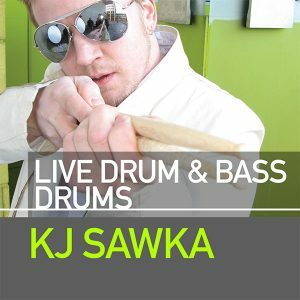 KJ Sawka Live Drum & Bass Drums is the essence of one of the genres greatest percussive minds, captured for your consumption. This pack is a versatile collection of live samples and loops, capturing the groove and humanization of KJ Sawka. Track sounding too sterile? Drop a KJ Sawka loop into the fold and open up the groove with his pushing and pulling of the beat. The range of custom kits and recording techniques used to capture this collection provides a vast array of tonal variations. With over 400 Drum & Bass Loops and 100 one-shots, this pack can provide an enormous amount of firepower to your productions. As well as the samples and loops, there are also 16 software sampler patches available. If the loops aren’t cutting it for you, load up a patch and get sequencing. This pack is an incredible opportunity to add the feel of one of the genres best drummers into your workflow. Ideal for Drum & Bass, Downbeat, Hip Hop and other Broken Beat styles. If you woke up this morning with glitched experimental sequences, dark, menacing basses and cold synth pads on your brain, then you need this pack. 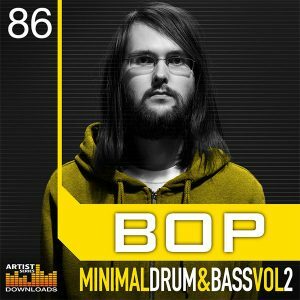 Bop’s Minimal Drum & Bass Vol. 2 is an essential collection of sounds for producers creating DnB, Glitch, Tech and Dubstep infused music. Minimal Drum & Bass is a sound that can be heard filling dancefloors around the globe. This pack has all the necessary sounds and samples to help push and inspire the DnB producer within. Bop is at the forefront of Drum & Bass, fusing the more traditional sounds with Deep Techno and Minimal Dubstep to give you his floor-filling sound. Minimal glitches, random sonic fractals, deep basses and drifting pads mixed with lo-fi and 8-bit beats have been funneled into 1000 samples, split between 240 loops at 170bpm, and 760 one-shots, as well as 24 software sampler patches. This is an ENORMOUS package that’s well worth the investment for any DnB producer wanting options. The loops are an incredible starting point and source of inspiration. The glitch FX are perfect for adding that classic, digital earworm to your productions. The 24 software sampler patches for Kontakt, Halion, EXS24, NNXT, and SFZ add further versatility to his already epic package. It’s often too easy to fall into the vicious trap of using the same vanilla samples as everyone else. Luckily for you, Prime Loops have got you covered. 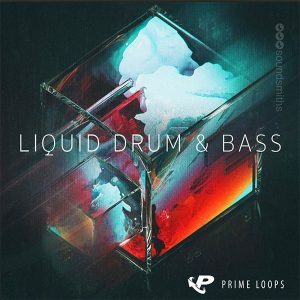 Liquid Drum & Bass is a fresh take on the fundamental elements associated with the unrelenting and irrepressible genre. Whether you’re an expert veteran or newbie making his first tune, this pack is a worthy upgrade. Inspired by heavyweights such as Hospital Records, Netsky, Logistics, S.P.Y and High Contrast, this pack brings you 182 loops and 258 one-shots of the finest ultra-deep, liquid funk Drum & Bass to your latest productions. Whether it’s drums that slam, percussion that grooves, layered synth chords or a super smooth Rhodes, this pack has it. As well as the extensive collection of samples, Liquid Drum & Bass also contains 20 professionally designed Sylenth1 patches. Load one of the patches into Sylenth1 and create your own synthesizer parts with a professional Drum & Bass sound. There are also 8 software sampler patches, injecting 8 carefully curated drum kits into your Digital Audio Workstation. The sampler patches are formatted for EXS24, Kontakt, NNXT, and Halion. Drum & Bass Producer is a must-have collection for any serious breakbeat producer. Comprising of 650Mb+ of rock-solid groove control and fresh inspiration, this collection is a real gem for the producer tired of using the Amen Break, again. This pack contains drum loops, jungle basslines, aggressive synths, special FX, quality pads and sound bites, crafted by one of the hottest production teams in the genre. All the elements you could want and need to help take your Drum & Bass, Jungle, and Breakbeat to the next level. Drum & Bass Producer brings you 680 high-quality WAV files. 318 REX-2 compatible loops allowing you, the producer, to splice and separate the audio to suit your track’s needs. This pack’s greatest feature is the inclusion of a wide range of synthesis patches. With 20 Malström patches and 21 Subtractor patches included in this collection, Drum & Bass Producer provides diverse synthesizer sounds within Reason. A perfect starting point, which can soon transform YOUR sound through the tweaking of the synthesizer parameters. An ideal package for the sonic manipulator. 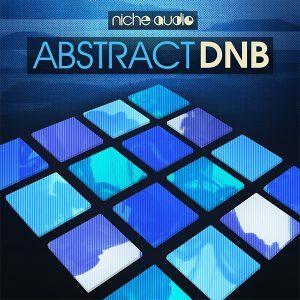 Niche Audio’s Abstract DnB is the most targeted pack in this article. This genre specific sound pack is an incredible collection of custom made Drum & Bass kits, made for Maschine2. A collection of ambient textures, rolling breaks, deep bass, flowing synths and warped FX, Niche Audio have collated the necessary parts to help inspire and create fresh sounding Drum & Bass. All samples have been expertly programmed, with each program loading an excellent choice of conceptual MIDI patterns. Auditioning these patterns allows the user to evaluate what they hear in context with their track instantly. Improved workflow = a faster, more enjoyable process of creating great music. Each of the drum kits can be tweaked. Though the kits can serve as both a great inspirational starting point and often the finished piece, the component parts can be replaced. Whether it’s the samples, FX, mix or patterns, each of the sounds can be switched out and manipulated to create the perfect kit for your track. Abstract DnB is packed with authenticity and vibe. The ethos of the whole pack hones in on keeping you – the producer – focused and in the creative zone. An incredible investment for anybody working with Maschine. Are you in the market for catchy grooves and broken beats? Yes? 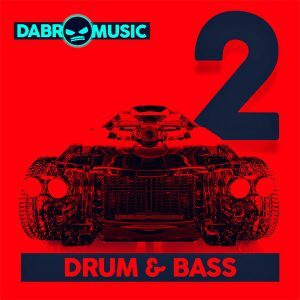 Then Drum & Bass 2 by Dabro Music is the sample pack for you! An earthshaking collection of powerful DnB samples, smashing dancefloor rivals with high-octane 174bpm loops. This collection contains more than 180 bass hits, ranging from classic sounding Reese Bass samples to the more obscure and unique. Each sample’s file name includes the root note, making sequencing bass lines a breeze. The melodic and atmospheric loops can add an interesting, synthetic texture to your tracks. The drum loops have all the punch and power you’d expect from a Drum & Bass drum loop. There are also separate kick and snares for extra flexibility and layering. If the above wasn’t enough to quench your thirst, Dabro Music has also included FX, massive drum hits, and vocal shouts. Maximize impact with carefully placed drum hits. Use the FX to transition from one section to another or manipulate vocal shouts to milk your hooks. The 1.89GB worth of dnb drum samples also includes 38 melodic MIDI files. Trigger the MIDI using YOUR sounds from YOUR VI’s to add all the vibe captured by Dabro with your sonic signature. This collection is perfect for anybody wishing to compete with the likes of Noisia, Mejus, Emperor and Original Sin. For me, I’m always excited anytime there’s a fresh approach to an old idea. Software sampler and synthesizer patches excite me, as they offer a brilliant starting point for any producer wanting a “stock genre” sound that can be molded into their own. I also believe any humanization is worth its weight in gold. The ability to take a synthetic and sequenced piece of music, and drop loops from a live drummer over the top of it, or being able to play your own melody lines through a professionally made synth patch adds a freshness and uniqueness that will elevate your music. As always, just because it says a specific genre doesn’t mean it can’t be injected into others. As much as Pendulum is Drum & Bass, Propane Nightmares was very much Pop and influenced Pop for the 6 months that followed the release. Check the links in the article above and spend some time listening to the audio examples on the website. With the internet, we’ve been blessed that there’s so much content available, which is driving the demand of quality samples and loops up. So, keep demanding the best.